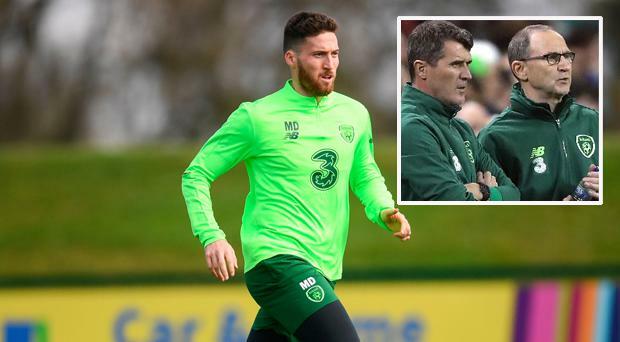 Matt Doherty says that Mick McCarthy's personality has made the Irish camp a better place to be around. And the Wolves player has no regrets about saying that the atmosphere was bad under Martin O'Neill and Roy Keane - but admits he could have timed his criticism better. On the day that O'Neill and Keane left the job, the Dubliner spoke out about squad dissatisfaction with match preparation and cast doubt on the value of the assistant's input. He received an angry call from O'Neill in the aftermath but makes no apologies for offering his opinion. "The only thing I might regret is the timing," said Doherty yesterday. "It was a bit soon." However, the in-form 27-year-old - who spoke recently about the tension that existed around the group in the final days of the O'Neill era - has noticed a significant change this week with his old Wolves boss McCarthy at the helm. "The atmosphere is definitely different. Not just around the players but around the whole place," said Doherty ahead of today's flight to Gibraltar for Saturday's kick-off (5.0) - the squad then return home to face Georgia on Tuesday. "Everyone seems to be just a bit happier and enjoying it more. Training is a bit more fun. It's a better atmosphere. "It (tension) was a combination of results and (pauses)... I was going to say something there. "Just results and maybe people not enjoying training as much as they should do and it is just a different type of management personality. It is a lot more friendly and people are enjoying it more. Hopefully that will show in the next two games."